Notes from a 2017 Spring Meetings event of BWP on Making Tax Work for Women's Rights, 19 April. Thank you all for coming. To introduce the thinking behind this session, as many of you may know the IMF has started including gender dimensions in some of its work. This started in 2013 as research, and then has relatively quickly progressed to Article IV reports, and now is even being included in two lending programmes. And while we, as civil society, are watching this work develop very closely, what we want to do today and more broadly is not focus on this new work, which still mainly focuses on increasing female labour force participation, and instead focus on the gendered dimensions of much more conventional or orthodox macroeconomic policies, including those the IMF promotes, and talk about not only how they can impact men and women differently but how they actually often undermine gender equality and women’s rights. And to that today our panel will be focusing in particular on tax policy. Presenting her paper, “The IMF and Gender Equality: the gender dimensions of the IMF’s key fiscal policy advice on resource mobilisation in developing countries”. Governments raise revenues in various ways, but of these, taxation is the most vital and has often been called the highest attribute of sovereignty, free of conditions that accompany loans and fostering self-reliance rather than dependence on development aid. 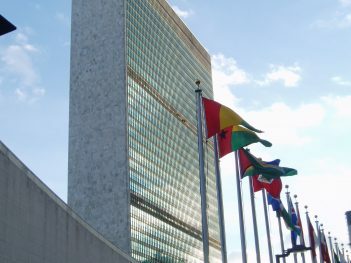 UN member-states are also obligated under international human rights law to progressively take positive steps through a range of governmental actions to fulfil human rights, including through budgetary mechanisms. I therefore agree with Victoria that we must hold our governments accountable to these standards as well, not just the IMF, and we do that. Yet, The IMF continues to wield significant influence over developing countries, even those already out of IMF lending programmes, including over tax policy. Developing countries face huge resource needs to finance their development, including financing women’s rights and gender equality. In the context of these urgent social needs, VAT is a key mechanism of tax systems worldwide. The IMF, the World Bank and other international financial institutions have consistently championed the adoption and increase of VAT among developing countries. However, VAT has not always produced such clear-cut positive outcomes as the IMF likes to suggest, as manifested in the experiences of developing, low income countries based chiefly on agriculture, and marked by large informal sectors, governments captured by elites, weak administrative capacities and low literacy levels. To varying degrees, VAT policy practice in developing country contexts indicated regressivity, meaning that it exacted proportionally steeper costs from the very vulnerable groups that could have benefited most from the increased revenue, and less from higher income groups. Other important features of developing economies are also largely ignored by VAT proponents, such as the existence of large informal sectors where many economic activities are beyond the reach of the tax. In the Philippines for example, we see that small, informal banana sellers buy and use sugar in their products. They pay VAT on this sugar yet are unable to pass these costs on to their buyers as they are not VAT registered. This also has implications for gender equality. Using gender as a category of analysis brings out biases that would otherwise be missed in the general assumption that institutions and policies are gender neutral and therefore apply equally to men and women alike. Taxation, including the structure or design and implementation of VAT, can affect women and men differently because of four general factors: gender differences in paid employment; women’s work in the unpaid economy; gender differences in consumption expenditures; and gender differences in property rights and asset ownership. Lower productivity and earnings of female farmers and entrepreneurs are also relevant when examining the gender dimensions of VAT design. While exemptions and zero-rating on specific goods have been introduced by many governments in an effort to address VAT’s regressive effects, these do not always translate into gender-equal results and multiple rates are generally not encouraged by the IMF. If gender differences are not taken into account from design to implementation, VAT can end up not only regressive but gender discriminatory as well. Not only is the IMF’s approach to VAT an imposition and an infringement on national sovereignty; it has also been shown to be a flawed strategy in a number of cases in developing countries. Developing countries’ large informal sectors and narrow tax bases limit VAT’s reach as a broad-based tax, rendering it inefficient. VAT has not ushered in improved tax-to-GDP ratios. While VAT revenues have risen, overall revenue collection has remained low and resources are still inadequate for public expenditure needs. It has shifted the burden of who bears the heaviest revenue-raising effort with typically regressive and gender unequal results that are particularly disadvantageous to women. Several gender and human rights issues have emerged in the course of implementation, casting even more doubt on claims that the difficulty in implementing VAT will eventually be worth the effort. Even with exemptions and zero-rating measures that generally made the VAT structure more equitable and lessened negative impacts on the poor, some regressivity often remained. Gender analysis has proven to be a valuable tool for women’s rights advocates and activists in assessing these biases. By applying gender equality perspectives, VAT implementation has been shown to contain gender discriminatory elements that disadvantage women. Further research on the implications and consequences of using VAT as a major instrument for expanding domestic resource mobilisation is clearly needed. 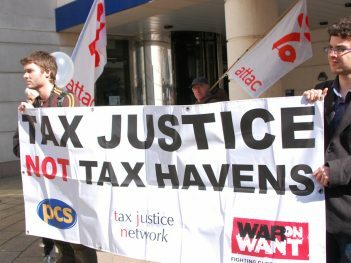 A counter-discourse must be mounted more vigorously and comprehensively on strengthening progressive income taxation, especially on corporations and wealthy individuals, and curbing the practices of tax dodging that are causing resource erosion in developing countries, instead of insisting on inequitable and gender-discriminatory measures like VAT. Finally I just want to say that I come from a background of social movements. That means that I see struggle as part and parcel of my work. When thinking about the IMF’s common response to calls for more progressive tax policies, I have to say that the concept of not doing something because it is difficult is completely foreign to me. These policies need to change because it is simply the right thing to do. Presenting ActionAid research, “Making Tax Work for Women’s Rights”. Tax and women’s rights are entwined. How tax is spent and raised matters more for women than men. And there is lots of potential for tax to bring about positive change in women’s lives – at the moment, developing countries give away massive unnecessary corporate tax breaks while services that women need struggle for funding, while at the same time tax could be raised more progressively. By virtually every global measure, women are disadvantaged relative to men. Women do the vast majority of unpaid care work – such as caring for children, fetching water and performing household chores – in all countries. They are overrepresented in poorly paid precarious work. One in three women will experience violence in their lifetimes. Governments have the responsibility to help end gender inequality and ensure that women realise their rights. One of the keys to ending gender inequality is to provide more and better quality public services. These services will reduce women’s unpaid care burden, for example providing piped water eliminates trips to the well and providing safe refuges will prevent and respond to violence against women. Perhaps there has been more progress on this budgeting side, and less on tax, so that is what I will focus on for the remainder of my presentation. To fund these essential public services governments need to raise more tax. That tax will need to be raised progressively, meaning that those who have more income are paying a higher proportion of their income in tax than those living on very little. However, the most progressive taxes – on personal income and wealth – are underused. Moreover, corporate tax revenues in developing countries are much lower than they could be because of big tax giveaways by governments in the form of tax breaks for investment, and because of tax avoidance and evasion. There is often a gap between tax policy and women’s rights. For example, ActionAid has found numerous developing countries which are giving away more than 0.5 per cent of their Gross Domestic Product (GDP) in corporate tax breaks in a bid to attract investors, despite evidence that tax breaks are largely irrelevant to investment. By comparison many developing countries are spending less than 0.03 per cent of their GDP on ministries that are focused on women’s rights and empowerment. Ending unnecessary tax breaks for companies would raise more tax revenue from people who can afford it and help pay for the vital services women need, and many tax policies carry explicit and implicit biases against women. Maximise available public resources, notably tax revenues, to invest in gender responsive public services that will help to end gender inequality and fulfil all women’s human rights. Establish gender-responsive budgeting to ensure tax revenue is spent in a way which promotes gender equality and upholds the right of all women to have a say in how public money is spent. 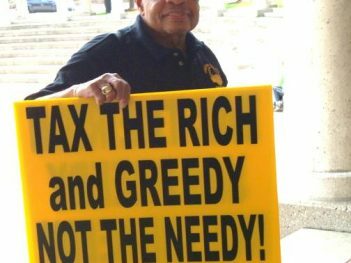 Raise taxes in the most progressive way possible, with more emphasis on direct taxation of income and wealth. Ensure that companies are paying their fair share of tax including by curbing tax incentives. Carry out tax impact assessments to identify the direct and indirect effects of taxes by gender, paying particular attention to the impacts of both taxes and public spending on the poorest women. End features of tax law which discriminate against women. In the end this is a political issue. Governments tend to go for regressive tax systems because they can. The IMF has a role to play in not just pointing out what is easiest to do but what is most effective to fight poverty and inequality. I will start with a few updates on what the IMF’s Fiscal Affairs Department has been working on recently on this issue. Some recent Article IV reports have been including tax gender issues. Clearly, you do not want explicit gender differentiation or bias in tax policies. Even implicit biases are generally not desirable. In our surveillance work in low income countries, we have emphasized access to education and health in particular. In advanced countries, we have focused on removing tax disincentives for female labour force participation. That work is now starting to include child care for advanced countries, as well as looking at the earned income tax credit and subsidies for low-income earners to help women. Those are good policies where you have a sophisticated system where you can actually reach these women. But they are not stand-alone policies. They should be associated with issues like a federal minimum wage as well, to think about a whole chain of events rather than specific policies. I also agree with speakers that we need more gender-disaggregated data on tax and gender, in particular for developing countries. To make a few general points, policies relating to tax and gender must go hand-in-hand with expenditure policy. For one, citizens should understand what their tax is being spent on. But second, we can think more carefully about what subsidies are being targeted for what. Petroleum subsidies might be really regressive for example. We believe it is much better to implement very targeted subsidies that actually go to the poorest women, rather than broad-based subsidies. In other words, its all about “targeting, targeting, targeting”. I completely agree with the points made to scrap most tax incentives and involving women as stakeholders, in particular in answering very concrete questions, like what are the six items you buy most as consumer in a week? Where we do have to differ is that imposing VAT is a terrible outcome, although that is an exaggeration of Mae’s paper. There are many reasonable points in the research presented. Collecting progressive income tax is definitely better policy, but it is also possible to mitigate the regressivity of VAT. Also, if a government cannot get at the income of the rich, they can still get at their consumption. For example, that means we should not exempt all foods, as types of foods are only bought by the rich. The IMF would therefore actually support the example that Mae cited in her work of a government moving from 400 to 30 VAT exemptions, because they scrapped exemptions were not aimed at the poor. We have said in Technical Assistance (TA) that it may be good to exempt a few very basic commodities that only the poor buy, like unprocessed foods. Mae’s example of the banana sellers was extremely interesting. It makes a very good point because we frequently think using a threshold for VAT registration is a good thing, so small businesses are not taxed. But sometimes it can lead to paying tax on what they buy and then cannot pass that on. The question remains, if we do not have a VAT, what are we going to do instead? In most cases VAT have replaced other sales taxes that were extremely inefficient and probably as or more regressive. Collecting other, more progressive types of taxes would certainly be ideal, but VAT is a much easier tax to collect than some others. To me the most important thing is how to spend the revenues collected. There has been increasing attention to why tax is a women’s rights issue. Social spending is key to that. It is why I never understand why people say they are socially progressive but fiscally conservative. So while raising more tax for women’s rights is obvious, the issue is also how those taxes are raised. When VAT is implemented you can ask many questions on how to design it, but in any event it has to be accompanied by a progressive direct income tax. VAT also has to be seen in context, as one small part of very commonly prescribed policy packages, which include public sector cuts, labour flexibilisation policies, wage bill cuts, etc. Taken in its entirety these have very detrimental impacts on women through job losses, essential services cuts and the unpaid care work economy. Looking at Egypt, VAT has recently been introduced. It has been shown to have a disproportionate impact on women. For example, feminine hygiene products are not exempted but the military is. These issues are not marginal and have a large impact on people’s lives. There was even an infant formula protest recently as its priced had increased under the new VAT regime. It is important to do careful impact assessments of gender and inequality of macreconomic policies. The IMF should include that in its deliberations, in particular before lending programmes. VAT is often used to offset other revenue losses, like from trade tariff cuts. Victoria asked what do we do instead of VAT? I would argue there are alternatives. They are difficult but we are not trying hard enough to push for alternatives. In surveillance, the IMF should investigate illicit financial flows and look at secrecy issues and spill-over tax avoidance effects. The Fund could suggest to tax haven countries to conduct impact assessments of its policies. For the US for example it might be particularly useful. To respond to Victoria’s comments on targeting expenditures, it is important to take a gender lens. Targeting of expenditure and social policies has had detrimental impacts on women’s rights. While they might be targeted towards helping the poorest women, they often still come with hidden burdens only revealed by a proper gender analysis. For example, direct cash transfer programmes targeted at women but aimed at enhancing child welfare have been found to burden women further by enhancing their childcare role even more. More generally, in terms of targeting expenditures, from a human rights perspective this can cause many people to be left out. The better approach to take is to make sure protection and services are universal in nature. One Campaign: I want to drill down on the gender-disaggregated data. What are the most important indicators to measure in the field of tax and gender? 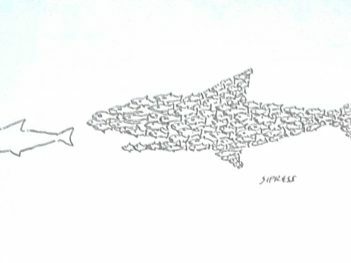 World Bank, Women Peace and the Law: On exemptions, what work has been done around establishing core group of exemptions as a starting point, and then it can be nuanced per country. Brazilian CSO: You mentioned the issue of tax exemptions on feminist hygiene products, what about the pink tax I have been hearing about? Savior: On the data question, ActionAid is actually planning to collect data on income, tax and social services received by men and women in a few countries and analyse this. Those types of indicators would be key. Mae: On data, for example in the Philippines there is very little data on joint tax filings, and of course there is a huge data gap in the informal sector. More generally in the Philippines, the Department of Labour is the only governmental department that collect gender disaggregated data. No other department does this, like the department of agriculture, so data in all those fields is missing. On the idea of creating a list of core exemptions, that would vary greatly from country to country. Whenever exemptions are thought about it should be done from a rights-based and gender equality perspective. It should be important advocacy issue for local women’s groups. Victoria: I agree on the core exemptions issue. It really is very context specific. Going back to the banana example mentioned earlier and data, it would be interesting for example to trace sugar’s chain of production and see who is buying and selling at every stage and have that data disaggregated by gender. There is very little data on who pays what by gender and who pays what income tax per individual person. Arab NGO Network for Development: I appreciate the importance of data, however I feel in the MENA region we focus so much on implicit bias we have forgotten about explicit bias. In Lebanon for example, there are still very explicitly discriminatory bankruptcy laws. EURODAD: I want to challenge the idea that VAT is easy to collect while others are not. Is this a technical question or actually a political issue? Victoria: To address this last question, collecting more progressive taxes is not difficult as in nuclear-physics-difficult. It is difficult in terms of the political economy and getting all the right elements lined-up. 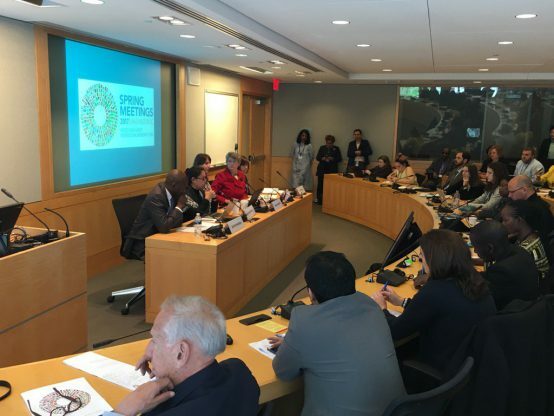 Notes from the IMF and World Bank 2019 Spring Meetings official session on 14 April on international taxation challenges in Africa. Notes from the 2017 World Bank and IMF Spring Meetings session on Domestic and International Taxation, 19 April. 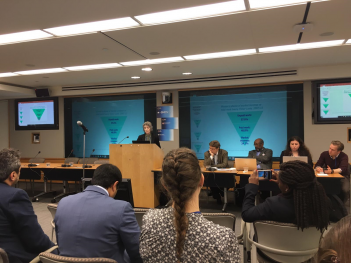 Notes from a side event at the IMF/World Bank 2016 annual meetings exploring the link between tax incentives, reduced revenue mobilization and inequality, as well as addressing tax capacity building efforts. Notes from a meeting at the IMF/World Bank CSO Forum at the 2015 Annual meetings, focusing on macroeconomic challenges for the MENA region. IMF and Bank “intensifying” tax work: Possible progress or consolidating control? The World Bank and IMF are intensifying their work on tax under the Platform for Collaboration on Tax, yet civil society is cautious about embracing tax policy advice coming from the Bretton Woods Institutions. IEG report on the World Bank’s domestic resource mobilisation work finds ad hoc approach focused on creating an enabling business environment while doing little to address equity issues. 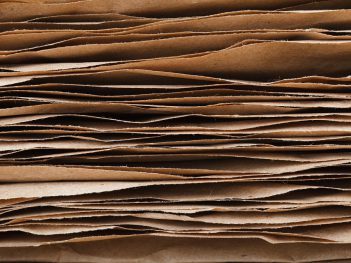 The International Finance Corporation praises the pulp and paper company Stora Enso as an industry leader in environmental and social standards, but questions about Stora Enso’s Dutch tax arrangement remain unresolved. 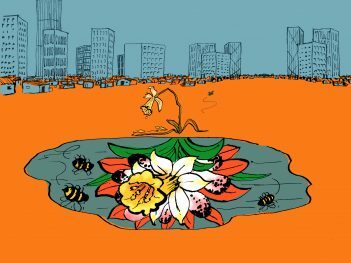 Report finds Development Finance Institutions (DFIs) are not doing enough to eliminate the risk of public money being complicit in tax avoidance schemes.